Dell unveiled two lines of laser printers (Dell 1130 and 2330 laser printer series) and three projectors (S300wi wireless projector, 1610 HD multimedia and M109s portable projector), to mark the launch of Dell’s S&P (Software and Peripherals) portfolio in the Philippines. This event was held at Zuni Resto & Bar in Greenbelt 5 on January 28, 2011. The S&P division carries a wide selection of software, electronics and other computer accessories to give users an enhanced computing experience with products that are reliable, affordable and easy to use. S&P products include – printers, projectors, monitors, digital cameras, webcams, UPS (uninterruptible power supply), external/portable storage devices, keyboard, mouse, software, parts and upgrades, carrying bags/cases, and a range or other desktop, laptop and gaming accessories. “Dell is committed to helping small businesses and workgroups maximize every resource as they strive for business growth. Dell continues to deliver exceptional computing experience to consumers and businesses in the Philippines, with our range of reliable, affordable and innovative products,” said Martin Diez, Business Development Manager, Software and Peripherals (S&P), Dell Philippines. 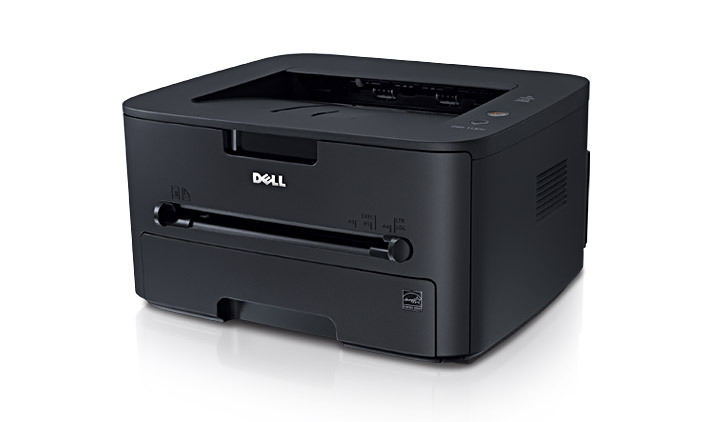 The Dell 1130 and Dell 1130n are highly affordable entry-level monochrome laser printers for businesses with remote offices, small workgroups or for growing businesses looking for fast, high-resolution and low cost-per-page printing. 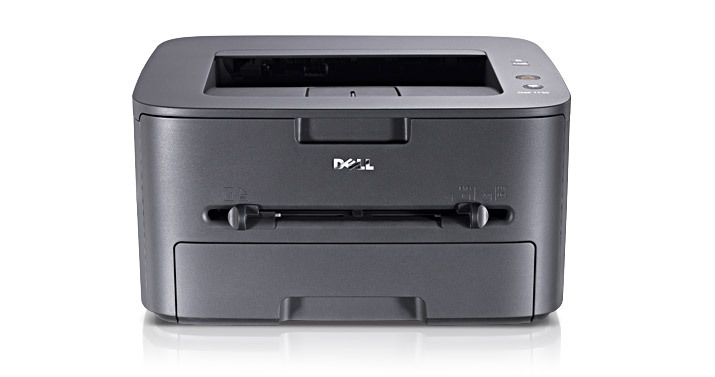 Both models offer high-speed printing (up to 19 ppm or pages per minute) on Dell 1130 model, and 24 ppm on Dell 1130n). For bigger volume printing, Dell offers the Dell 2330d and Dell 2330dn. Both models deliver a printing speed of up to 35ppm and a true print resolution of up to 1200x1200 dpi. The Dell 2330d/dn produce razor-sharp printouts for both business graphics and text. The Dell S300wi Wireless Short-Throw Interactive Projector brings you interaction in a single box. • Live Interaction: Interactive projection software with the interactive pen allows you and your audience to interact with presentations from any point within 30 feet (10m) of the screen. • Intuitive flexibility: INTERWRITEWORKSPACE® lets you interact with any form of digital content, using more than 4,000 teaching resources and over 600 interactive lessons. • Advanced features: 3D-capable, USB plug and play, USB viewer, PTG converter and closed captioning. 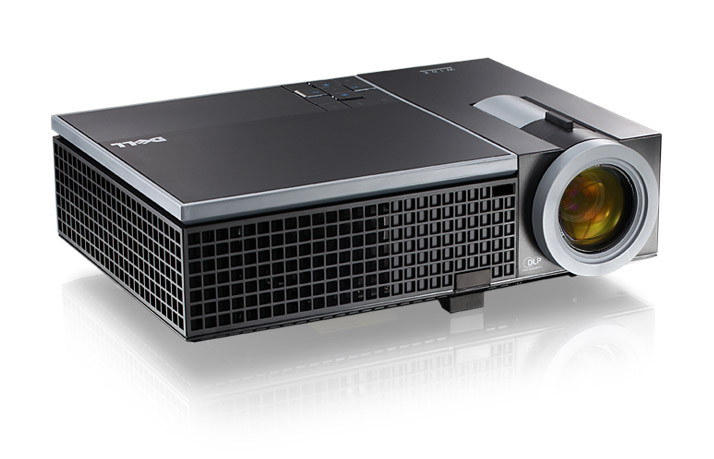 For creative audio-visual presentations, Dell 1610HD Value Series Projector offers advanced features and network manageability perfect for business users. • Exceptional Brightness & Contrast: 3,500 ANSI lumens (max) brightness and high 2100:1 typical (full on/full off) contrast ratio. • Riveting Resolution: 2000 WXGA (1280x800) native resolution with native 16:10 aspect ratio offers superb image quality with up to 30% more pixels than XGA (1024x768) and high-definition viewing at 720p. • Dazzling Colors: Equipped with DLP® and BrilliantColor™ technology. • Big-Picture View A diagonal 362-inch maximum projection size at 32.81 feet (10m) (projector-to-screen distance). For on-the-go users, there is the ultraportable Dell M109S projector. Designed for the road warrior who wants ultra mobility, performance and ease of use. 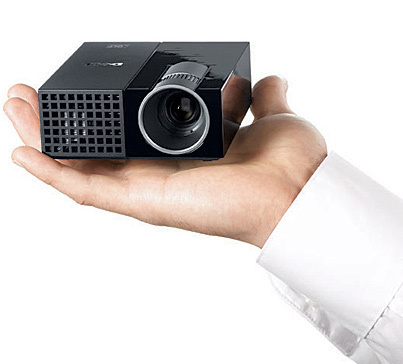 This pocket-sized projector weighs in at a mere 0.80 lbs. and boasts of a remarkably small dimension (3.64" x 4.12" x 1.46"). It has a maximum brightness of 50 ANSI Lumens and SVGA 858 x 600 native resolution for delivering presentations in crisp text and vibrant colors in small group sharing, collaborative meetings, or even impromptu meetings. To add to its ease-of-use, the Dell M109S comes with a multi-input cable for easy connectivity to laptops, desktops, DVD players and gaming consoles. • Energy Star® - Each of the new Dell laser printers are Energy Star® certified. They use about 25% less energy than conventional printer models. • Eco-Friendly - Each of the new printers is RoHS compliant, reducing the use of environmentally harmful materials.